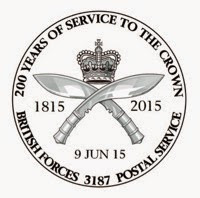 The British Forces Postal Service has announced two new commemorative covers. Victory in Europe Day, or VE Day as it was known, was the public holiday celebrated on the 8th May 1945 to mark the end of WWII in Europe. 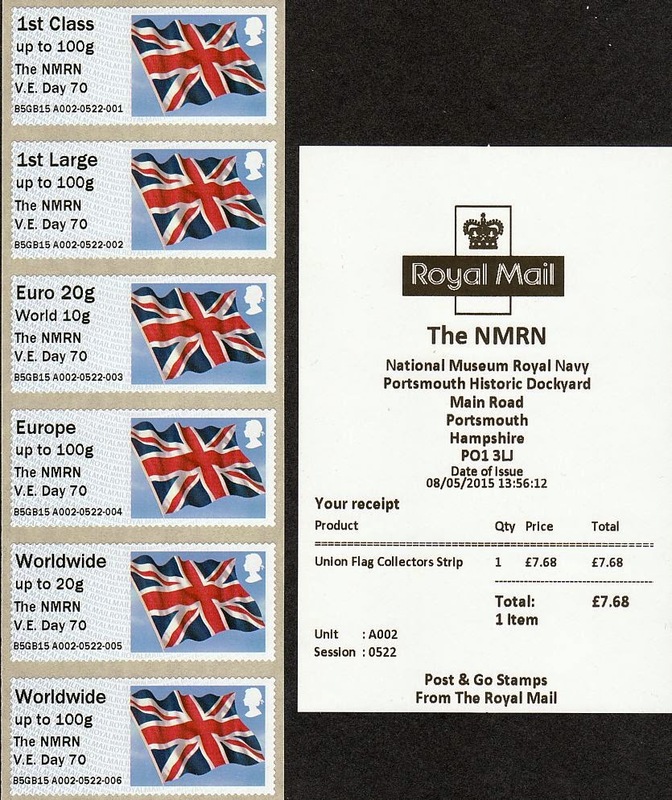 To commemorate the 50ᵗʰ anniversary of VE Day the British Forces Post Office produced an official commemorative cover, which was issued on 8ᵗʰ May1995 and sold at the celebrations in London. 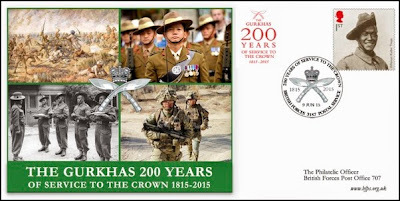 To celebrate the 70ᵗʰ anniversary the Forces Philatelic Bureau has created some double-dated some covers from the 8ᵗʰ May 1995 issue and produced a unique collectors’ item that covers 20 years of national commemorations for this very significant historical event. 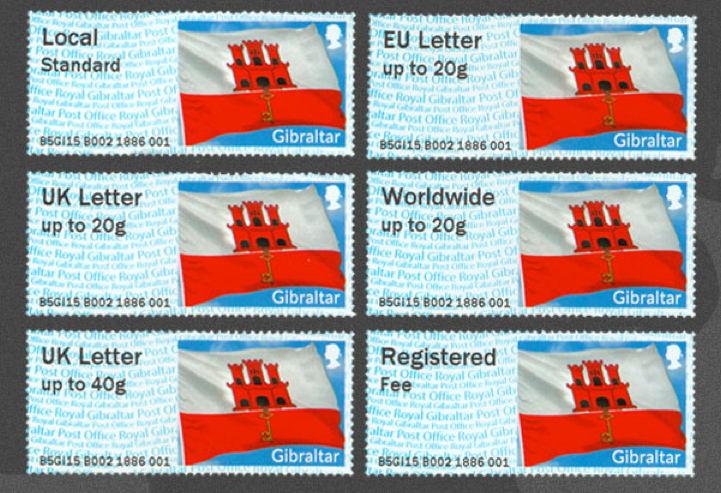 The covers are available to order now on a strictly first-come-first-served basis from the BFPS online shop (www.bfps.org.uk/shop). 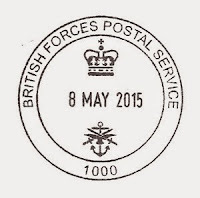 They will cost just £6 (UK/BFPO p&p free). 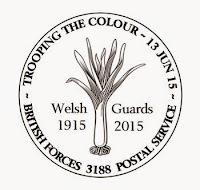 1915 saw the raising of the Welsh Guards by order of King George V. A few days after the Battalion mounted its first King’s Guard at Buckingham Palace. Later that year they found themselves in France ready to do battle. 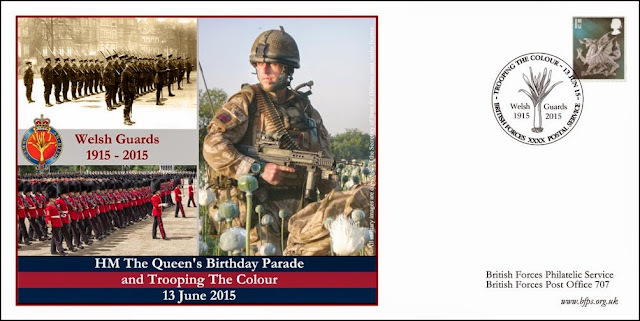 A century on and celebrating their 100 years the Welsh Guards have once again the honour to parade before the country’s reigning monarch as part of the Queen’s Birthday Parade and Trooping The Colour. 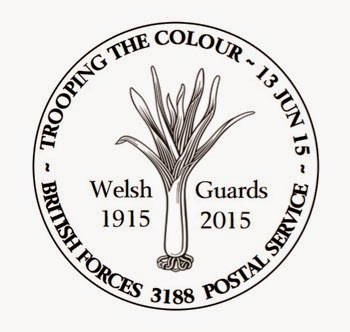 To mark both of these historic occasions BFPS, in partnership with the Welsh Guards, is producing a special commemorative cover to be released on the 13 June 2015. 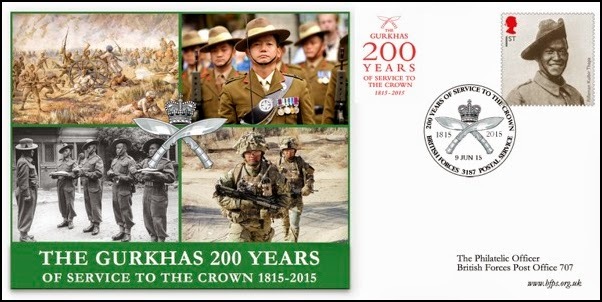 The cover carries superb past and present images of the Battalion on ceremonial and combat duties. 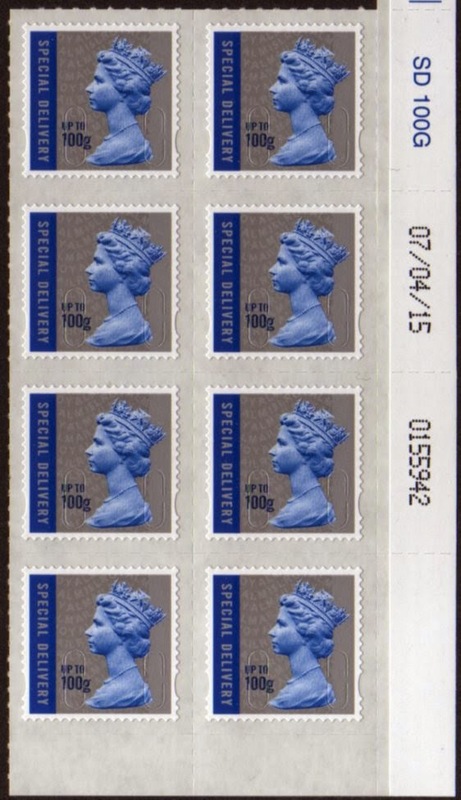 Signed limited editions will be available to buy. 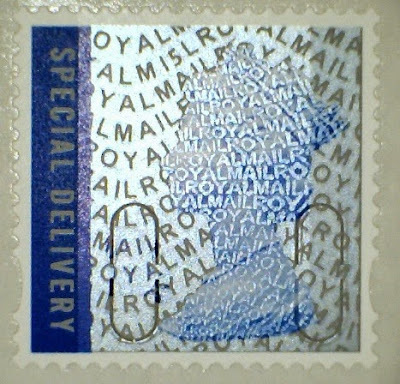 A Welsh regional definitive stamp will be franked by the unique BFPS numbered special handstamp, the centre of which shows a silhouette of a leek, the emblem of the Welsh Guards. The covers may be purchased from the BFPS online shop (www.bfps.org.uk/shop).They will cost just £6 for the unsigned version and £12 for the signed version (UK/BFPO p&p free). 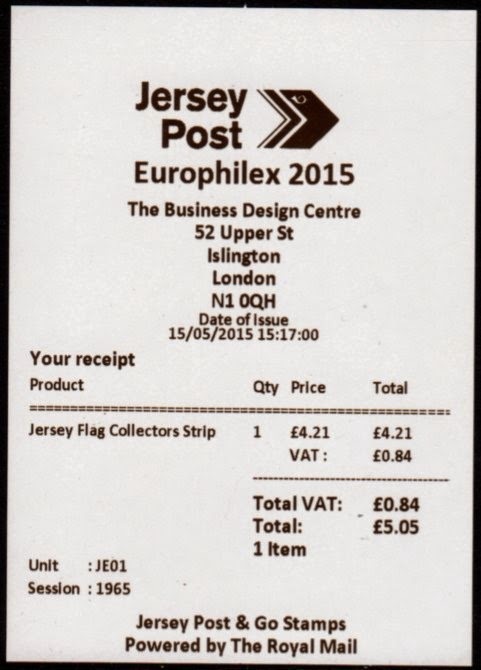 They are available to order now on a strictly first-come-first-served basis. 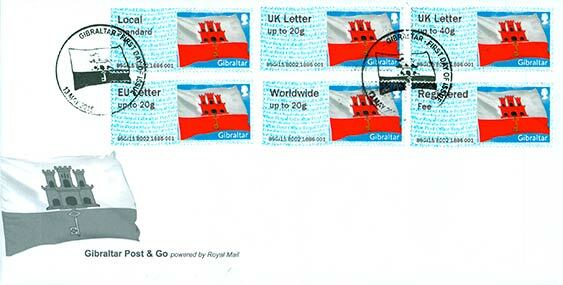 Both covers are also available by post by sending a cheque (payable to ‘BFPS CIC’) to BFPS The Old Post Office Links Place Elie Fife KY9 1AX. 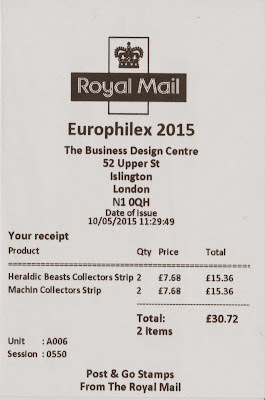 London 2015 Europhilex - Special Handstamping Report. 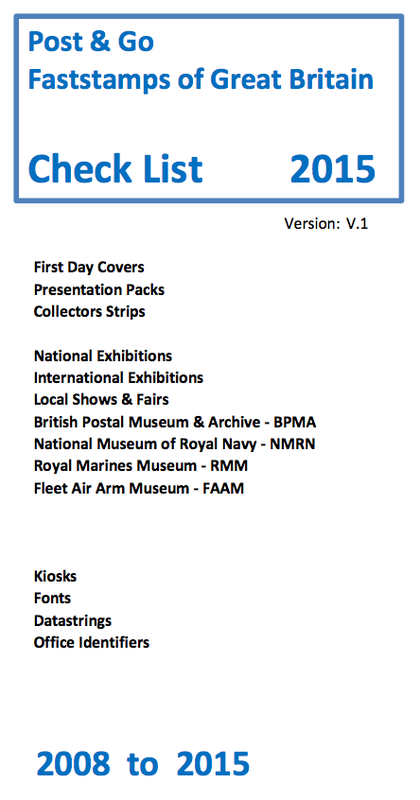 As well as the Royal Mail philatelic stand, and the late announced but unadorned (no colourful banners) pop-up Post Office at the exhibition, operators from Royal Mail's London Special Handstamp Centre were present, providing postmarks on covers and cards with a hand-back service. As well as a selection of actual self-inking handstamps, the stand also used an American Tampoprint Entrance 90 machine from Tampotech Ltd. Ironic really, as I had only just posted to our reference site, a write-up on the machines that are currently in use and which have given stirling service at Special Handstamp Centres for many years! 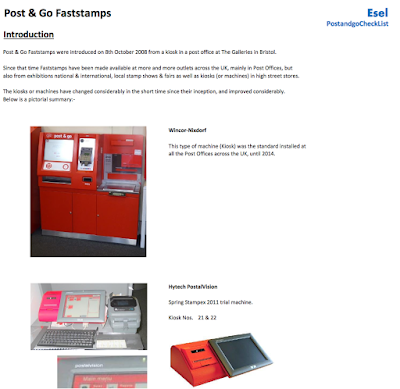 I understand that this machine - which uses basically the same but improved technology and ink - is being evaluated, with the hope that they will be acquired for the handstamp centres. 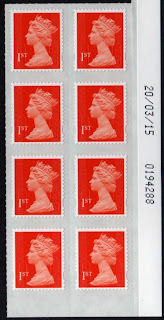 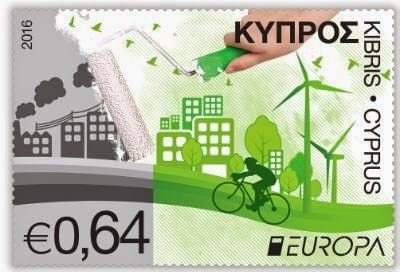 Improvements will mean that postmarks can be applied more accurately especially on larger covers. I am grateful for permission to take pictures and a video of the operation which isn't as large as I wanted it to be, but is too blurred at full-screen. 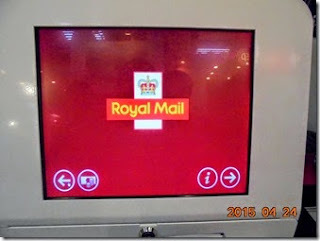 Royal Mail competitor Whistl (TNT) suspends mail delivery. 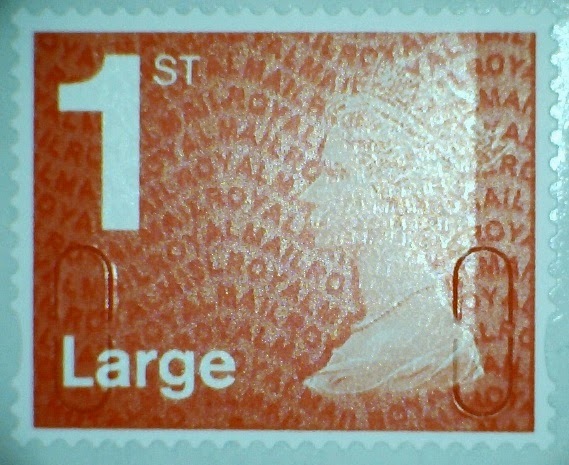 Private postal business Whistl - formerly known as TNT - has suspended its door-to-door delivery service in London, Liverpool and Manchester and is consulting 2,000 workers on redundancy. Whistl will continue to provide a service, but will revert back to using the Royal Mail for the "final mile". Shares in Royal Mail rose 3.3% after the news was announced. 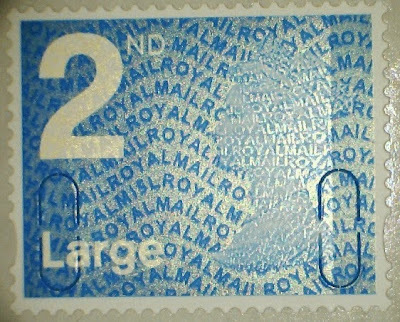 TNT Post UK launched its end-to-end delivery service in West London in April 2012, and by the end of 2014 had expanded within London and Manchester, as well as to Liverpool. 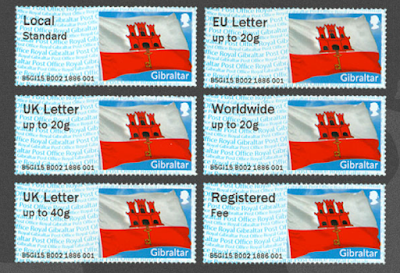 Under its new name, Whistl, it has been delivering to 2m households, around 7.4% of all UK households, compared to 4.1% in 2013. But the news will probably be welcomed by London householders, companies and local authorities who have been using the service, as there have been many reports over the last year or so about mail being dumped in hedgerows instead of being delivered. - BBC News, Sky News, Post and Parcel. 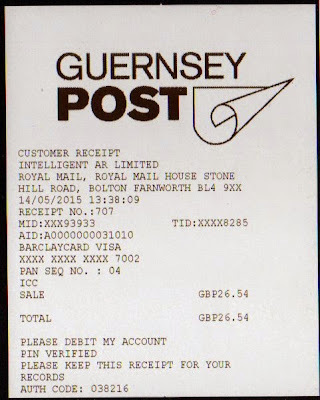 Example of the whistl PPI (right), on a label stuck over the TNT PPI printed on the envelope. 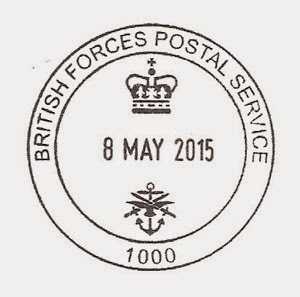 General Election slogan postmark in use last week? My fertile imagination thought that this might happen, and I have been told by somebody in Royal Mail that there was a slogan postmark used last week in connection with the General Election. 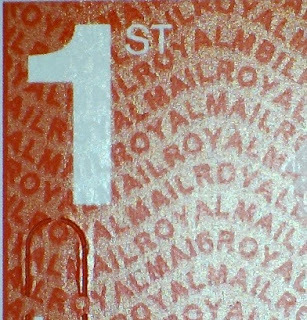 It would have been used on 5th on 2nd class mail and 6th on 1st class mail - and this would have been after the Penny Black finished and before VE Day 70 was used! 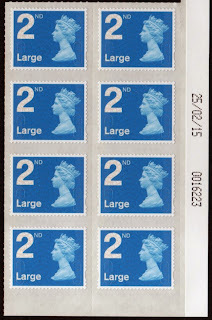 Has anybody seen an example? Please send pictures by email! 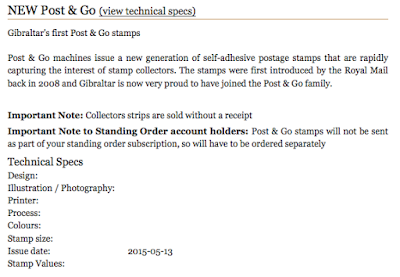 Another Post and Go stamp error - system reset again? 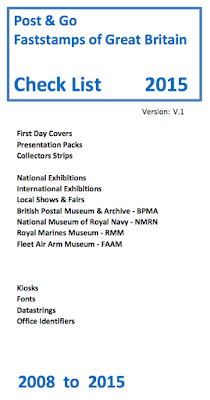 As reported elsewhere the Royal Marines Museum, National Museum of the Royal Navy, and Fleet Air Arm Museums' Post and Go machines were reprogrammed to incorporate a new additional inscription from 8 May 2015. 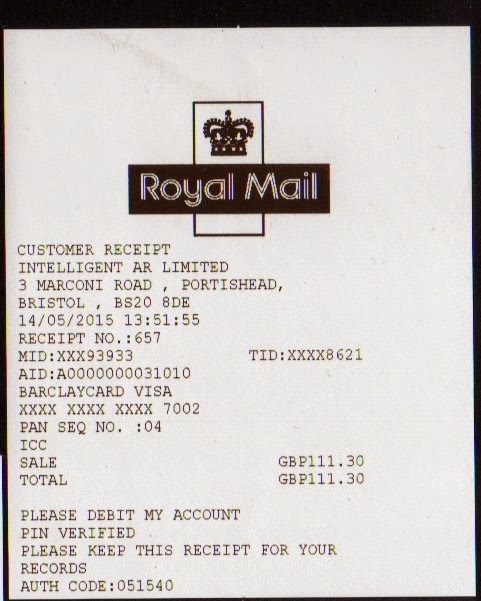 It barely needs saying now that as this was a Post and Go machine change involving the Royal Mail Series II machines, all did not go well. 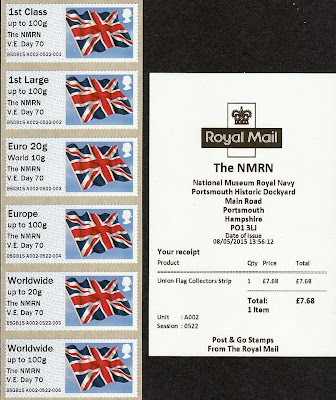 For some reason the machine at the National Museum of the Royal Navy in Portsmouth reverted to the £7.42 set of labels which ceased to be dispensed on 30 March when postage rates increased and the 60 g weight steps were abolished and absorbed into the 100 g weight steps. 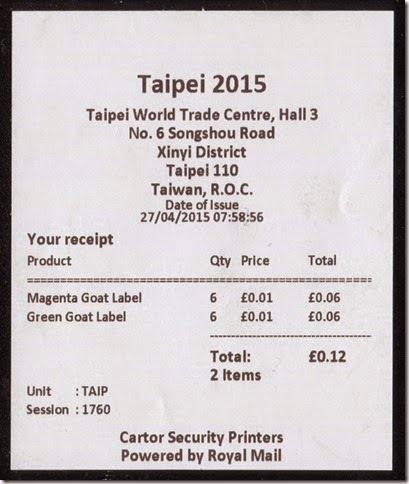 As Chris reports, "it was not until 13:56:12 Session 0522 that the correct rate and price was available. 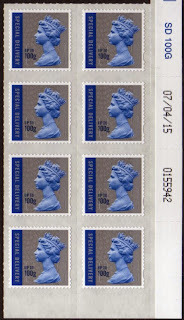 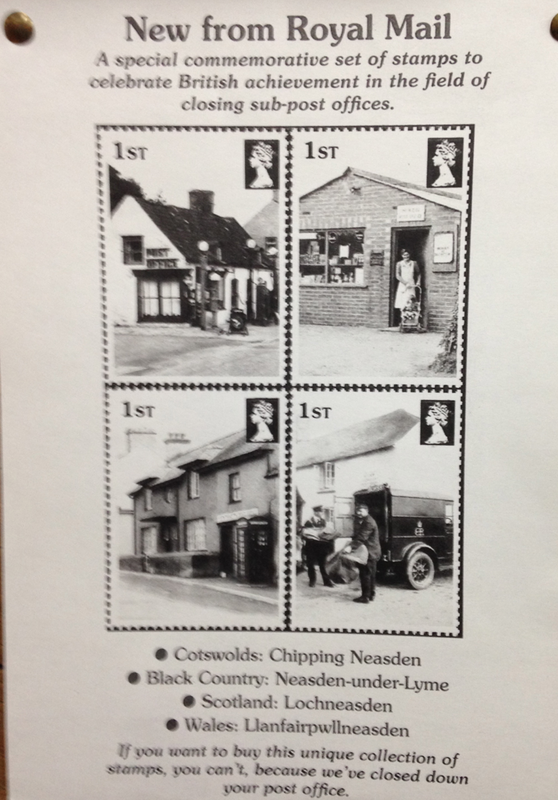 In the time before the change £1500 + worth of stamps were printed by collectors." 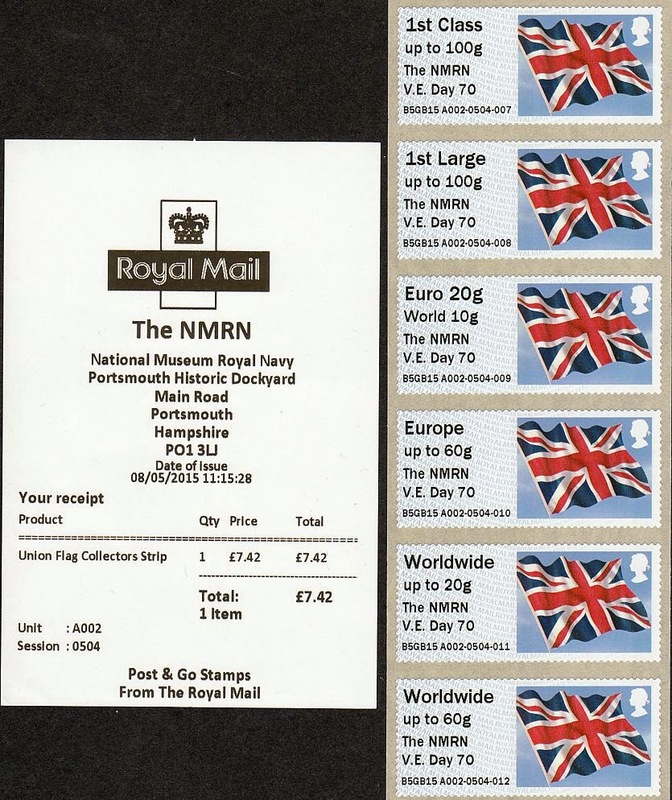 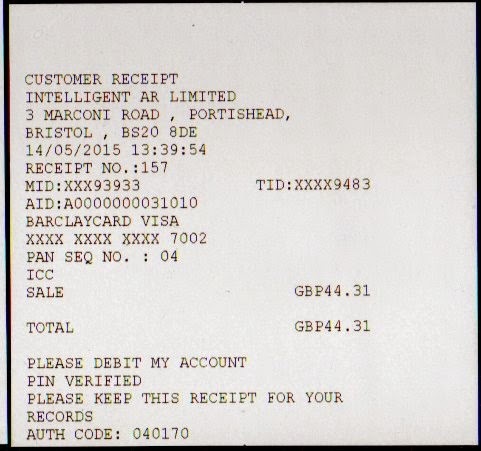 The stamps from the Royal Marines Museum (RMM) and the Fleet Air Arm Museum (FAAM) did not have this fault. 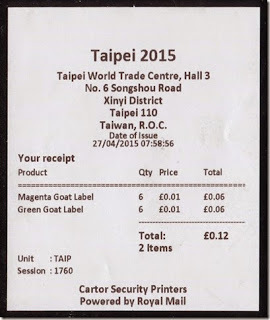 It would have been especially surprising if the FAAM stamps had had this error as the machine did not operate under the previous tariff and never did dispense 60 g stamps! "Royal Mail really have to address this problem of the ongoing errors. 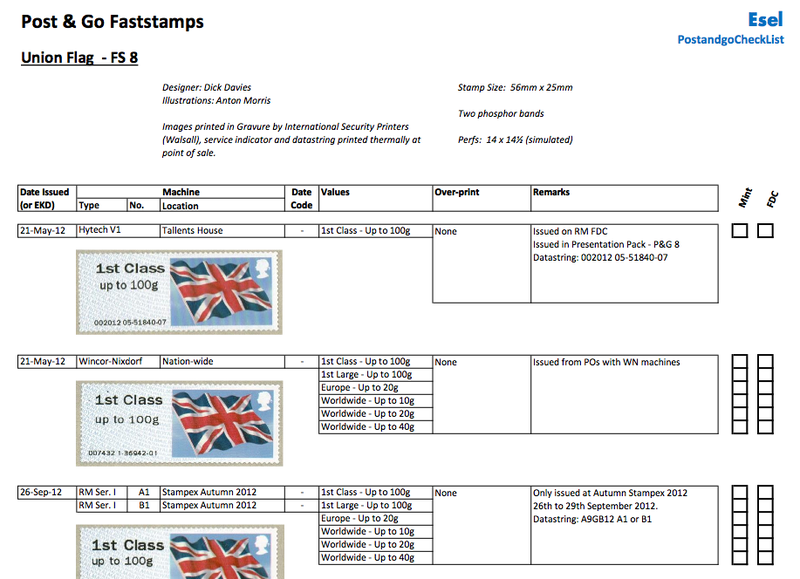 It really is putting people off buying these stamps." 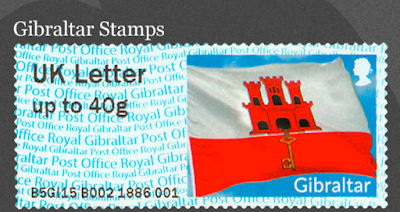 ... and I can only agree. Some people still think this is being done deliberately by Royal Mail or at their behest to create/maintain interest. 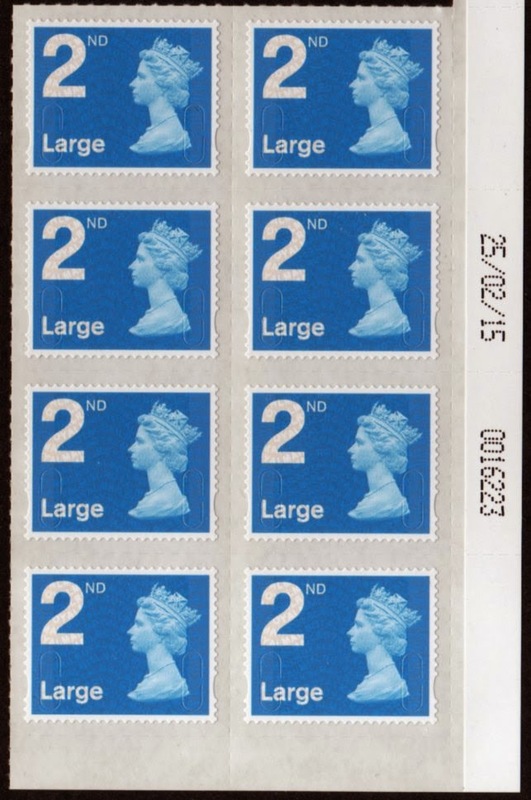 I don't think that's so. 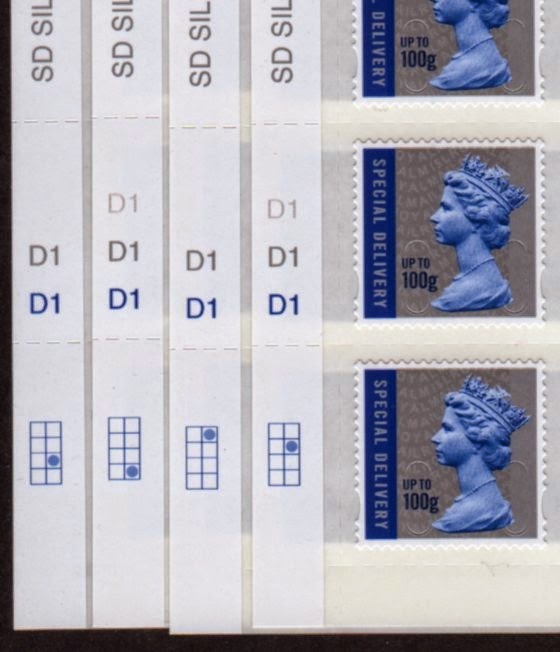 Call me gullible, but my contact with Royal Mail about previous errors revealed their obvious displeasure at the numbers of errors occuring and their intention that the flow of mistakes should cease. 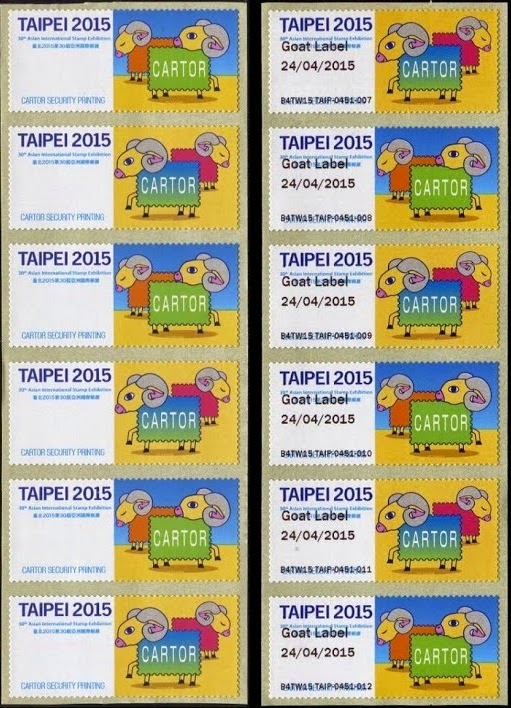 Well, the errors that have already been seen this year, show that somebody somewhere is not taking correct steps to ensure that the product is produced as advertised. 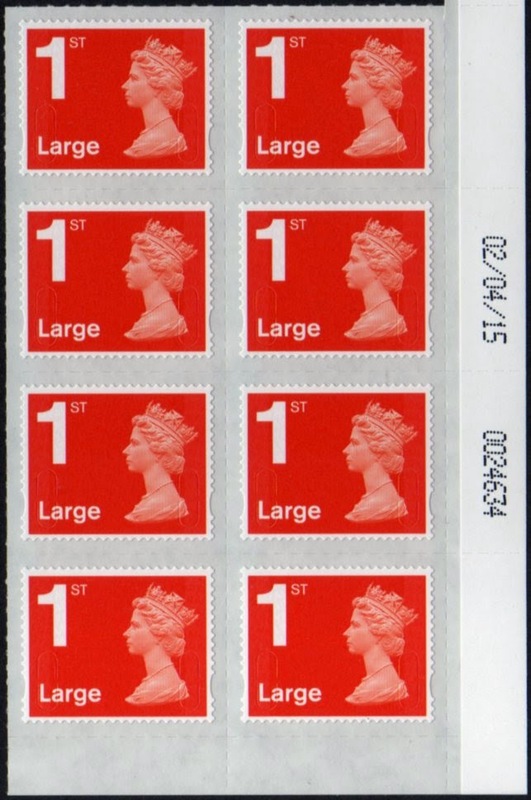 I attribute this to a system reset such as happened at Stampex when the Flowers stamps were dispensed with the wrong machine number and wrong details on the receipt. But should it really be that difficult to get the software right? 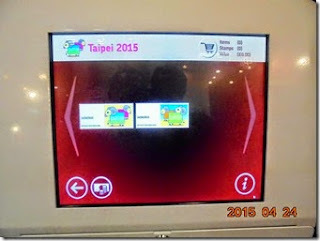 When there is a change, the ability to print the previous details should be removed from the machine and from the system. 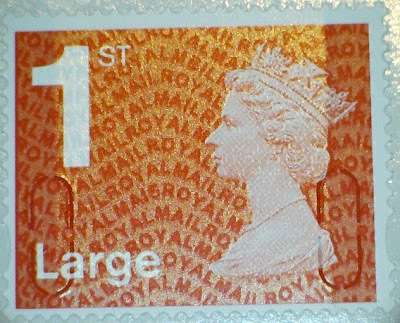 There should be no question that reverting to a default position creates stamps which Royal Mail does not want produced, which are obsolete, and which are an embarrassment to Royal Mail and add to the enrichment of the few people who can afford to travel to the machine location. 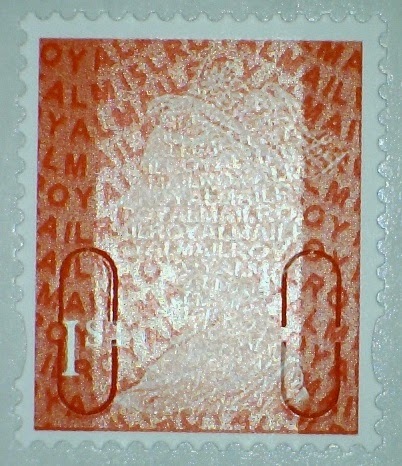 Collectors buying in the secondary market from dealers who have made the journey and bought many hundreds of strips, should be able to get what was intended to be produced, and not a higher-priced error, which the dealer may not even have noticed at the time of purchase (as happened with some of the other Stampex errors). 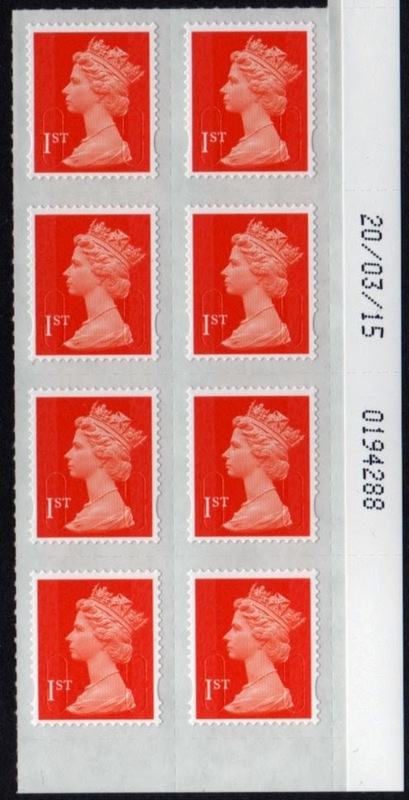 More new Machin definitive stamps, and an updated 2015 list. 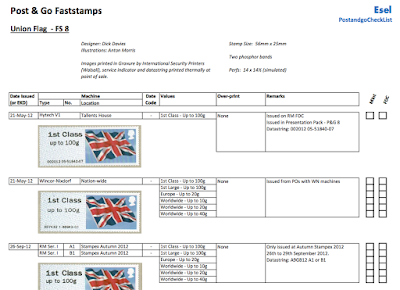 Four new counter sheet stamps are available from today, along with a further printing of the 2nd class.